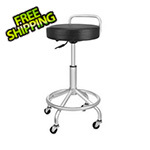 Reinvigorate your garage or workspace with this UltraHD Lighted Stainless Steel Top Workbench. This workbench comes complete with storage drawers, an LED light, power strip with two USB ports, cantilever shelves, pegboard and 23-count hook set. 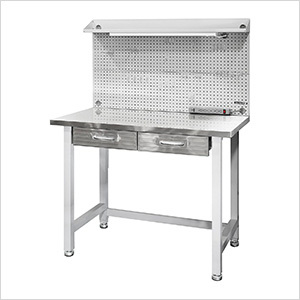 The workbench features a fingerprint-resistant stainless-steel top and drawer fronts.